In the mouth, it is plump and full of substance. The texture is crisp and silky. The tannins are still present, calling for a cuisine with texture to bring out the best in this wine. The finish is long and coats the palate. The tannins are already very well integrated and can be expected to blend in still further over the coming years. 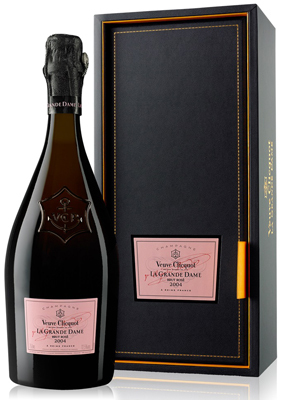 La Grande Dame Rose subtly adapts the style of La Grand Dame from which it is made. The blend, including 15% of red wine, made entirely from Pinot Noir grapes from the Bouzy vineyard, brings a new facet to the complexity and richness of this cuvee. All the grapes come from Clos Colin, one of our best plots located in the heart of this Grand Cru. With an excellent cellaring potential it will reach its peak after being cellared for several years.